Sunday will be Ray’s Day of Coastal Play. Ray’s a veteran of the tidal-waters around Wales, and is looking forward to getting Canoefest visitors out on the Menai Straits and Swellies for a fun session in a glorious setting. 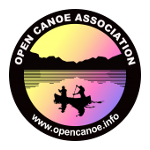 This is expected to be suitable for intermediate (around about 3*) canoeists, paddling solo or tandem… though offers plenty of scope for the more advanced canoeists. Those who like to lead or coach others can look to Ray for guidance on how to handle groups in such an environment. Meeting time and place: expect 9.30am beside the Menai Straits – full details to follow.